PALEMBANG, INDONESIA - Tomoa Narasaki topped the qualifications of sport climbing combined at the Asian Games for the second straight day on Saturday, as all Japanese climbers qualified for the following day’s final. 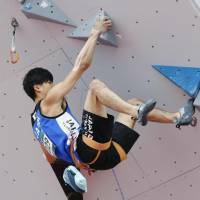 Narasaki and Kokoro Fujii will gun for a medal in the men’s event, while Akiyo Noguchi and Futaba Ito will compete in the women’s final of sport climbing combined. The 2016 overall world champ Narasaki was one of three climbers who reached the top of the wall in the men’s lead climbing qualification at Jakabaring Sport City. 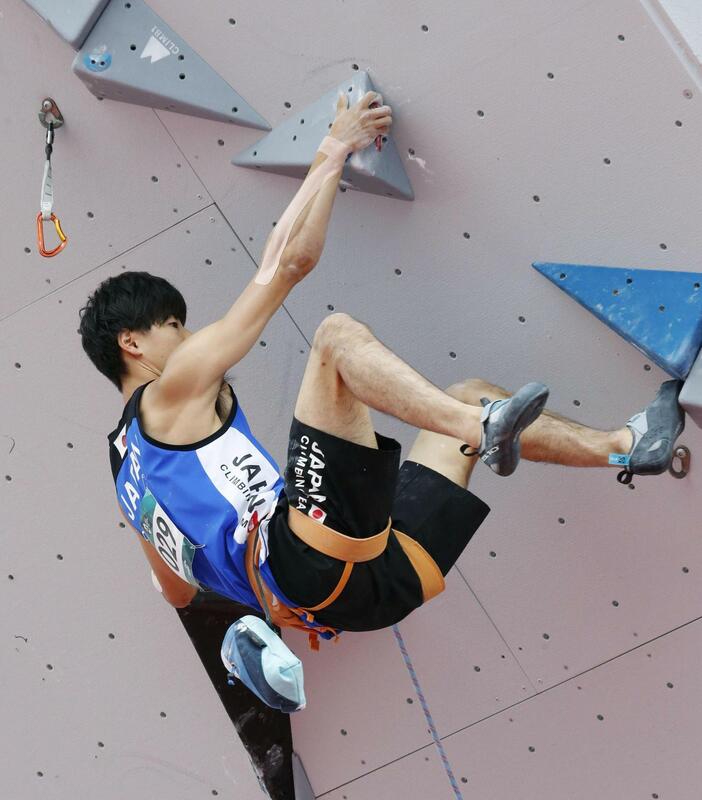 Fujii and South Korean Kim Han-wool also topped the wall but finished second and third, respectively, after taking longer than Narasaki to complete their respective climbs. Total scores of each climber in the qualifiers are determined by multiplying their ranking in each phase, with the six lowest-scoring climbers advancing to the final. Narasaki scored six points by placing first in Friday’s bouldering qualifiers, first in lead and sixth in Thursday’s speed. Fujii qualified fourth with 204 points. In the women’s lead qualifiers, South Korea’s Kim Ja-in was the only climber who managed to top the wall. Noguchi finished second by reaching close to the top with 48 holds, while Ito ranked fourth by reaching 39 holds in 3 minutes, 26 seconds. Noguchi qualified third, while Ito just made the cut for the six-woman final. “My condition has been improving a little at a time. I want to deliver 100 percent tomorrow. I think Ja-in will be my top competitor,” said Noguchi.